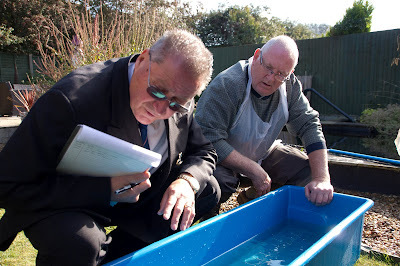 We are running a quiz as part of the garden show, and the idea is that you judge the show yourself and work out which koi will win the top 18 awards. We’re calling it the “judge-it-for-yourself” quiz. To record your answers - please fill in the entry form emailed by Adam on 25 September (if you haven't had the email please let us know and we can send it out to you), using the 4 digit koi reference; you can simply reply to Adams email and complete the form and email it back to him – or print it out and fill it in manually and hand it to Adam at the next meeting. 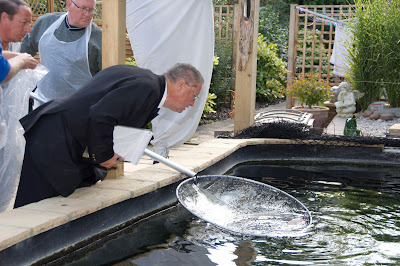 The fish pictures will be uploaded online soon. The quiz winner will be the person who gets the most answers the same as Gary’s decisions. There is a 19th question – I would like you to nominate which is your favourite koi in the whole competition. 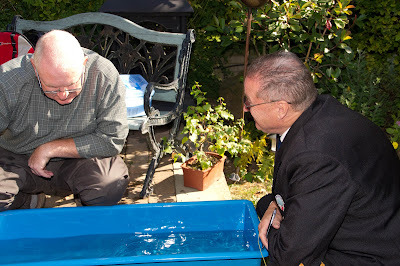 The koi with most votes from members will win the “Members’ Favourite” award. You can use any method you like to choose this koi – it’s completely up to you. The closing date for entries is at the end of our club meeting on Wednesday 14th November. I would be grateful if you could get your entries in as quickly as possible though, just to help with administering the quiz. Some pointers – the koi that wins the grand champion and reserve grand champion awards cannot win any other awards. 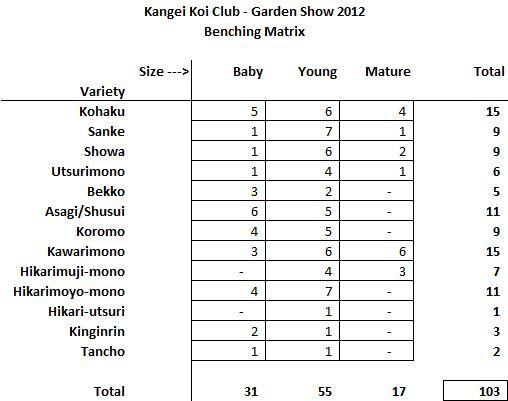 But, a koi winning mature, young or baby champion awards could also win the best in it’s variety award too. 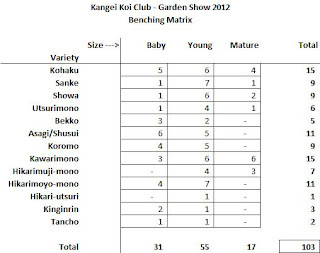 This is the benching matrix which shows you the number of koi entered, by size and variety - and this will give you an overall view of the koi entered and may help you as you complete the quiz sheet.